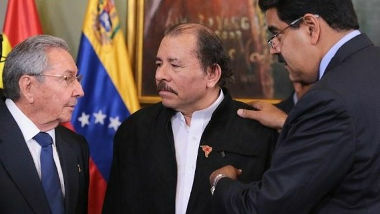 The targets: Raúl Castro of Cuba, Daniel Ortega of Nicaragua, Nicolás Maduro of Venezuela. The project seems to echo the "New Middle East" plan then Secretary of State Condeleeza Rice launched in 2006. It largely failed due to U.S. incompetence but left behind severely damaged states. That the U.S. is going for such a wide ranging plan in the western hemisphere might explains why Trump is pressing to end the other military projects in the Middle East and Afghanistan. It is obvious that the U.S. wants a violent conflict. Either the Venezuelan military will have to launch a coup or the violence will have to be brought in from the outside. 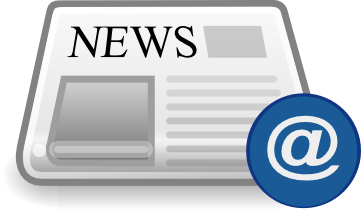 The early election in May 2018 was held on demand of the opposition parties some of which, urged by the U.S., did not take part in it. There is no evidence of fraud that lets one doubt the results. 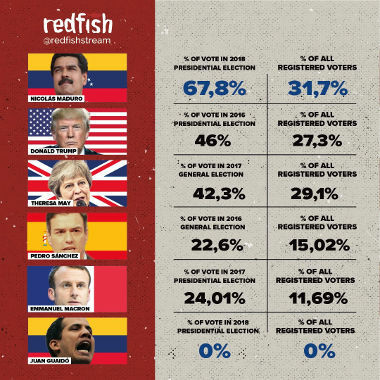 Maduro won among several candidates with more than 60% of the votes. 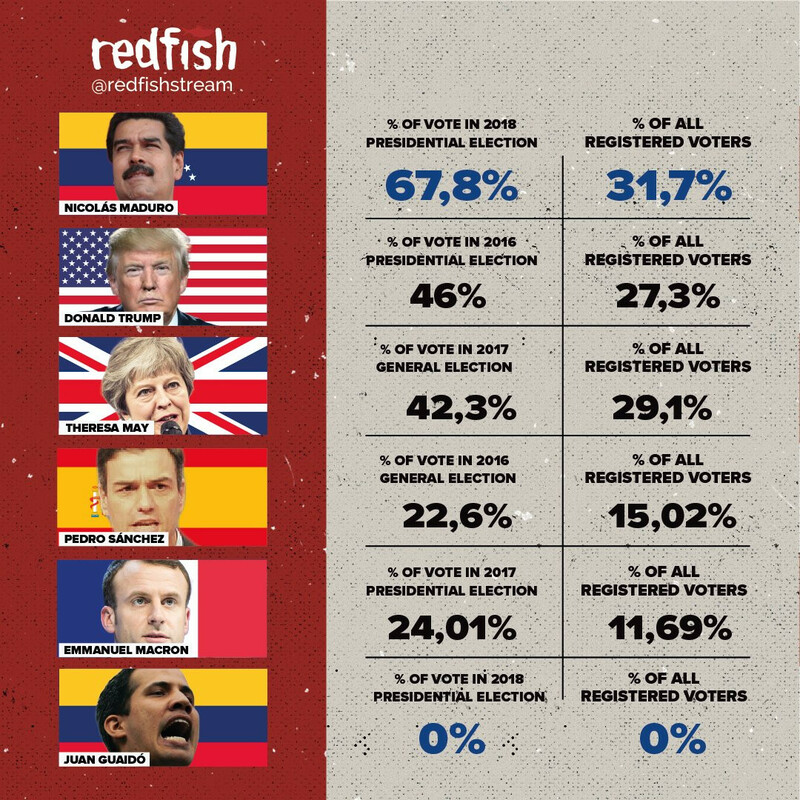 One might argue that has more legitimacy than some other elected people. The U.S. seized Venezuelan assets but will have trouble to hand them to Guaido. The main asset is CITGO, which owns refineries and gas stations in the United States. But CITGO is deep in debt. Its refineries depend on the heavy oil from Venezuela. If might well go into bankruptcy in which case the debt holders will take it over. At least 49.5 % will go to the Russian company Rosneft. The legal process will take years. So how much U.S. money is Trump willing to invest in his plan?